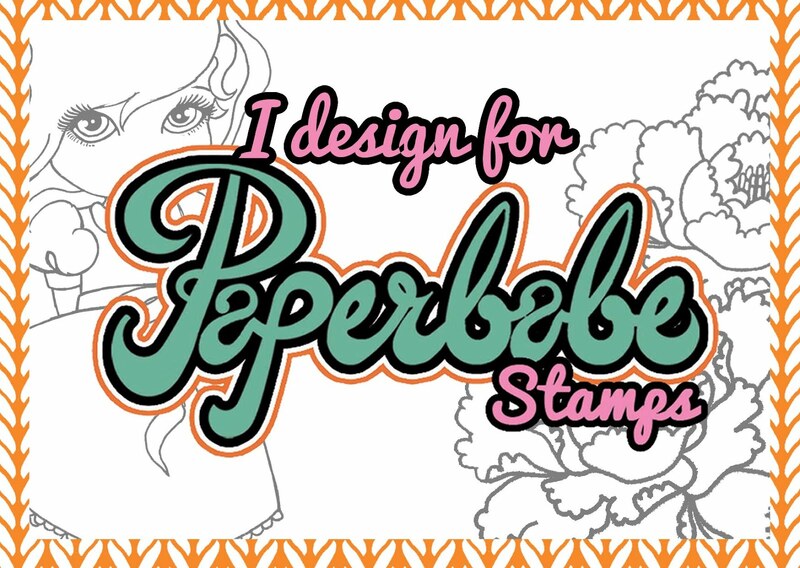 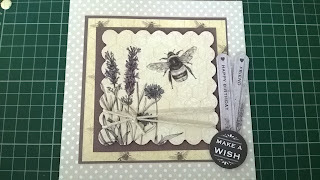 As you know by now Craftworks cards are my all time favorite paper craft company, when the potting shed II kit was released I couln't wait to get crafting with it. 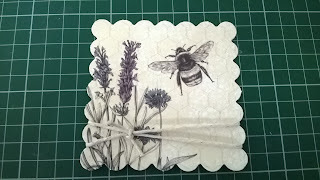 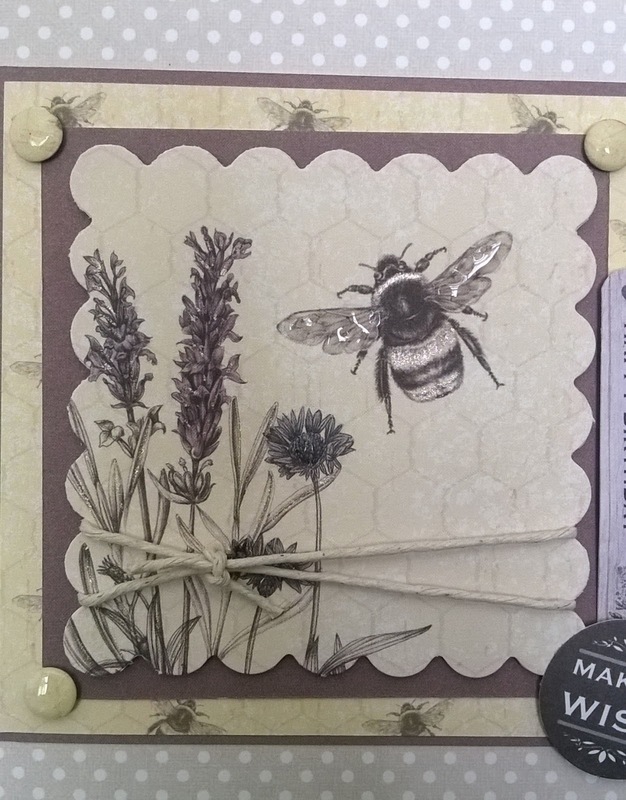 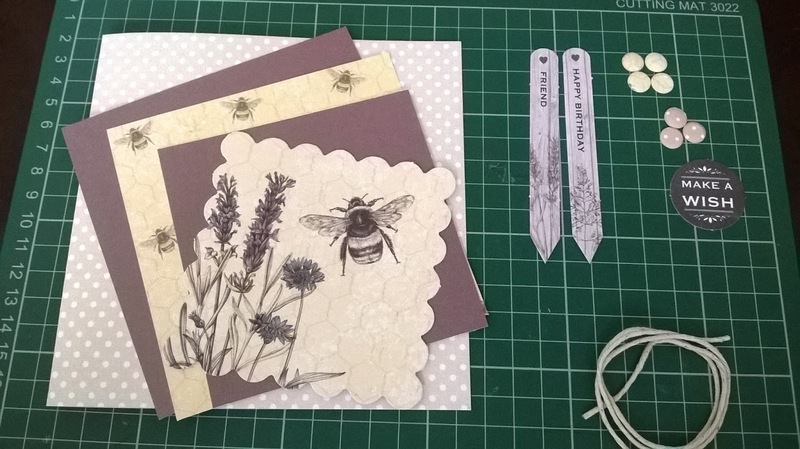 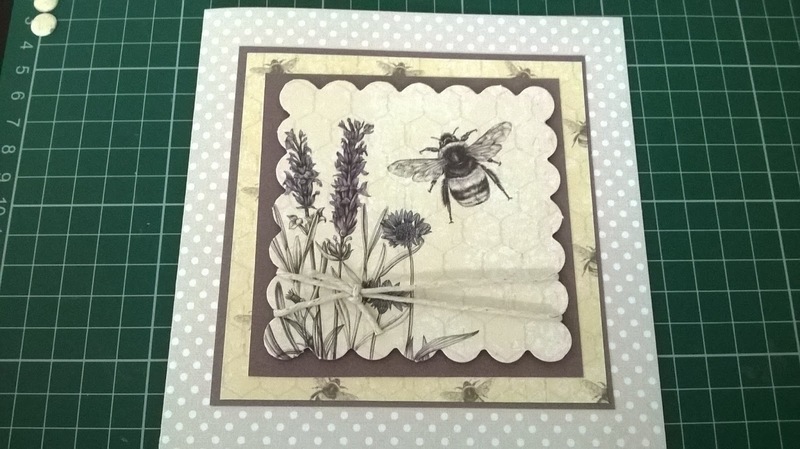 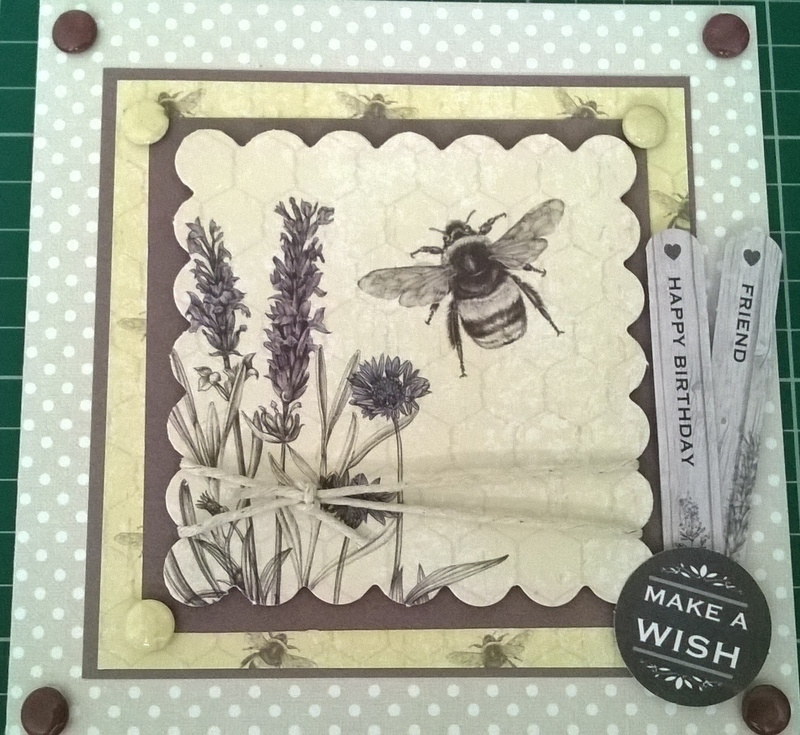 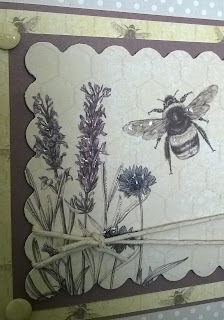 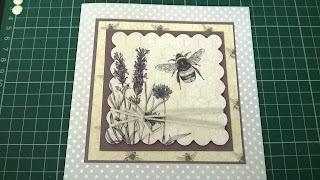 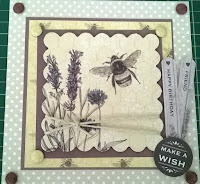 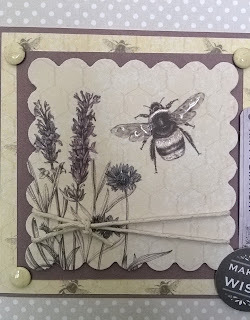 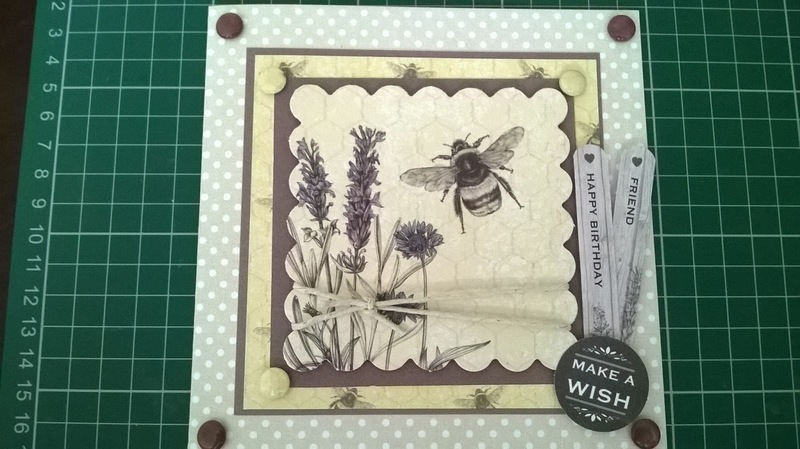 Once I saw the Bee topper I had to use it, I love the muted tones and earthy feel, so here's a tutorial of how I made this lovely card. 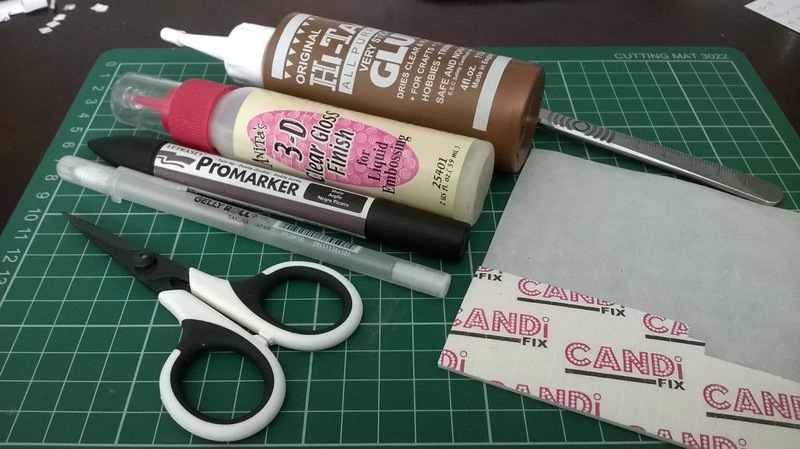 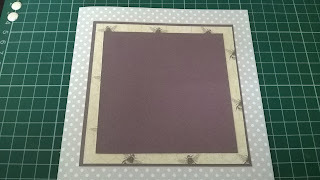 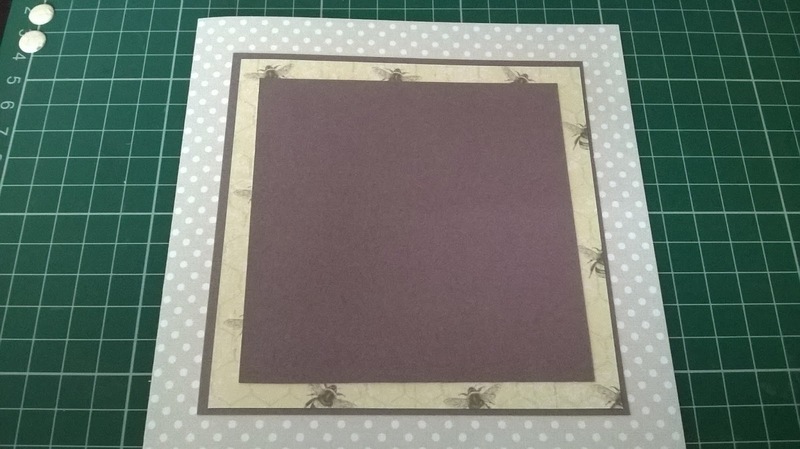 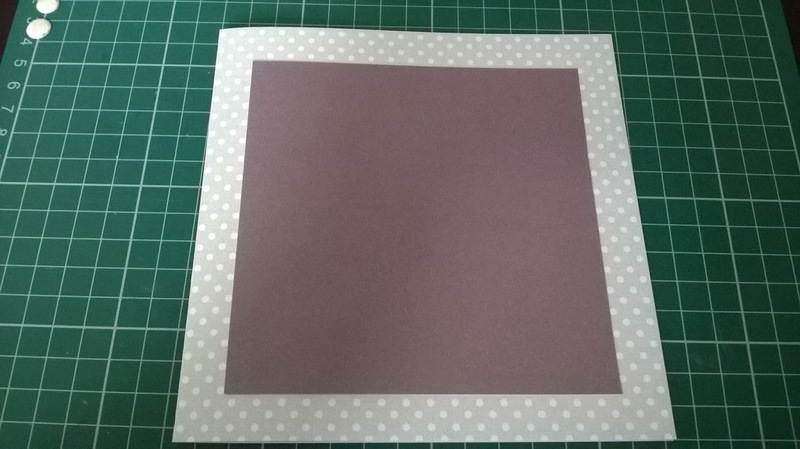 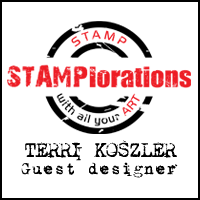 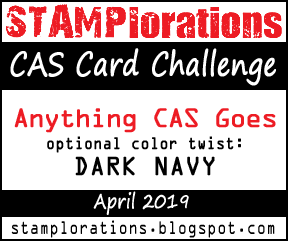 I start by placing a 5x5" mat of brown paper on to my 6x6 card using the Hi Tack glue making sure that it sits square as all other pieces will be place using this as a marker. 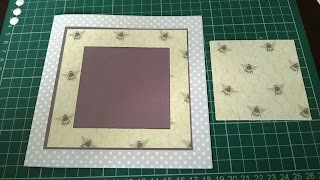 Next I cut a square of bee paper to 5.7/8" x 5.7/8" and "gut" the center, this means removing an amount of paper that wont be seen, I hate to waste paper and I know I will be using this on another project. 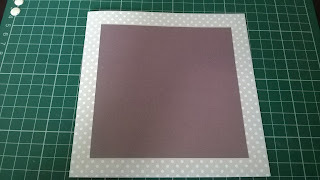 This is attached using the glue. 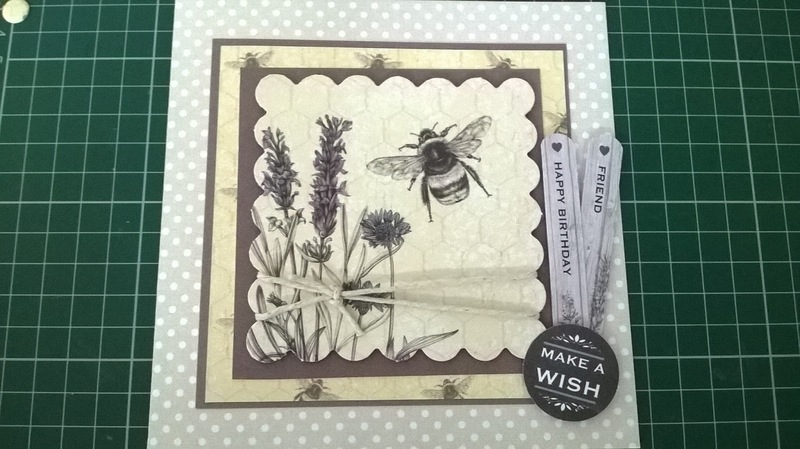 Now for the topper, I wrap twine around the topper and tie a knot at the front, the topper is scalloped so it sits tightly in the notches but if you were doing this with a straight edged topper I would secure it with tape at the back. 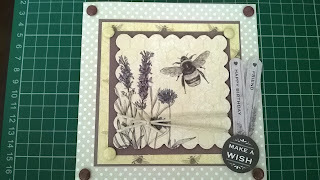 I then added white candi to the outer corners and colored them using a promarker, colour is called "shale" I also glazed them as well.